Nikon NIKKOR 35mm f/2.8 Ai-s Lens. Optically excellent. There are some small dusts inside. Functions correctly. Cosmetically nice as well, but note the scuff/scrape in the last two photos. I used this lens quite a bit and have no complaints. Sold as is with no warranty. Capture nature in all its beauty and vivacity as this Nikon Nikkor AI-S lens is great suits your penchant for landscape photography. Background objects are captured as clearly as the foregrounding subjects by this Nikon camera lens which has a focal length of 35 mm. The picture angle of this Nikon 35 mm lens is 62 degrees, good enough for tight shots of locations. The filter of this Nikon 35 mm lens measures 52 mm, to give you clear pictures. The fine sands and the deep blue waters are captured in sharp clarity as more light is permitted to enter the large aperture of this Nikon 35 mm lens measuring f/2.0. Focus on the spider webbing his home and the ants carrying their sweets to store as the Nikon Nikkor AI-S lens can focus as closely as 0.3 meters. Although I resent the implication that things from the 80s are now vintage, I have to say this lens was a great example from Nikon's good ole days. The build quality on these older lenses is solid and they simply feel very satisfying to use. While maybe not offering stellar image quality, it's certainly adequate and with the added character of a strong vignette while shooting wide open, it's fun without being ridiculously quirky. The one sent by Baker was in perfect shape, almost as though it had never been out of the original package. Focus was a little stiff but I'll take that over sloppy any day. Glass is in great shape with no scratches or fungus. Felt almost like I was back in the 80s! I bought this to use on my Nikon D-7100. With a DX size sensor, this becomes a 52.5 mm equivalent lens (Very mild telephoto) The results have been excellent. This lens is fast and sharp. I have had good results even wide open at f2. I like shooting with vintage glass, they just seem to produce better results. One of the great classic Nikkor lenses. This is one of the great classic Nikon Nikkor all manual AIS lenses. It is sharp, versatile, and well built. 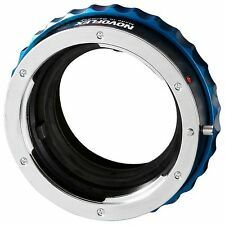 I highly recommend this product to anyone looking for a great all around manual prime lens for their Nikon camera. Excellent lens, in very good condition. Well packed. Quickly and economically shipped. AI-S Nikkor lenses are excellent value in photographic optics. There was a typo in the description - not F2.5 but 2.8. This is a sharp lens with excellent color and contrast. Manual focus but very smooth and easy to focus.